Colorado is one of the few places where you can play a round of golf in the morning, hit the ski slopes in the afternoon and relax in the hot springs at night. That’s what we call true Colorado adventure. Why? In Colorado you’ll find numerous ways to play in the snow – on skis, boards or snowshoes, and yet there’s much more. Colorado is a great place to unplug, unwind and do nothing. It also happens to be one of the hottest destinations for camping, rafting, hiking, fishing, and golf. All that in one place. 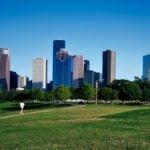 The eighth largest state in the U.S., Colorado offers a diverse landscape that encompasses wide, flat eastern plains, sparkling cities of the Front Range, snowy peaks of the Rocky Mountains, red rock plateaus of the Western Slope and much more. You’ll experience 300 days of sunshine a year with summer temperatures averaging between 75 and 85 degrees and winter temperatures ranging between 30 and 70 degrees – making Colorado ideal for outdoor exploration and activities. 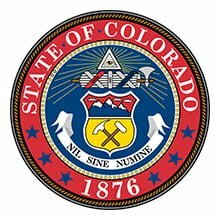 Colorado boasts 18 million acres of public land – three national parks, six national monuments, 40 state parks, 15 national forests and grasslands, and seven national monuments and national recreation areas. The state is also home to 24 scenic byways that showcase every corner, culture, and ecosystem in Colorado, as well as 54 of the 61 “fourteeners” (14,000-foot peaks) in the continental United States (source). No matter where in Colorado you travel, you’ll find adventure, family fun, breathtaking vistas, sparkling waters, cultural crossroads, historic side trips, relaxation, and memories to last a lifetime. During the summer, visitors can enjoy river rafting, hot air ballooning, horseback riding, 4×4 tours, hiking, camping, water skiing, rock climbing, golfing, mountain biking, paragliding, fishing, sailing, caving, and much more. 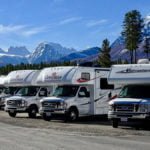 Come winter, enjoy world-class skiing, snowshoeing, dog-sledding, ice-fishing, ice-climbing, tubing, sleigh rides, ice skating and more. 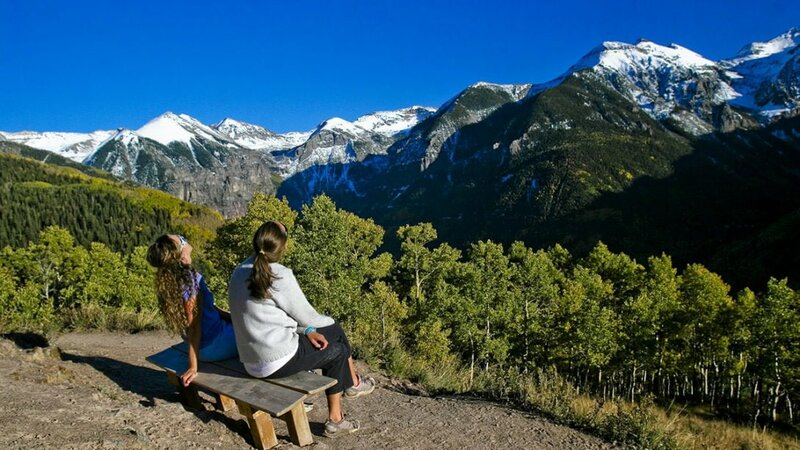 From the intrigue and mystery surrounding the ancient cities of Mesa Verde National Park to the old-fashioned flavor of the historic Silverton and Durango Narrow Gauge Railroad, Colorado is rich in history and cultural destinations. Visitors to the Grand Junction area can dig for dinosaur bones at one of the many designated digging sites, while visitors to Georgetown can take a tour by train through the historic Lebanon Silver Mine. In addition, the symphony, ballet, and theater abound both in the cities, as well as your favorite mountain villages. Guest ranches across Colorado invite city slickers to experience the Western lifestyle with guided horseback rides, llama pack trips, chuckwagon cookouts, and campfire cuisine. 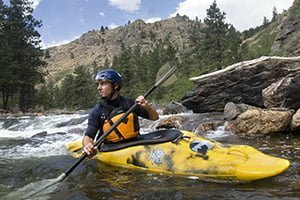 Abundant and inexpensive opportunities to experience Colorado’s natural beauty make camping and hiking among the most popular year-round activities. Every corner of the state offers a variety of camping options, from tents in the backcountry to cozy cabins, well-appointed RV parks (especially for RV full-time travelers), and even yurts and huts. Private campgrounds, located throughout the state, www.campcolorado.com offer amenities such as swimming pools and laundries. For a mixture of urban oasis and high country adventure, be sure to check out Colorado’s 40 state parks. This year, visitors can reserve one of Colorado State Parks’ 3,900 campsites up to six months in advance. Starting Feb. 18, visitors can make reservations at one of the 33 state parks with campsites. Finally, from western rodeos to symphonies on the slopes, it would be hard to find a single week anywhere in the state without a festival or special event. The Colorado Renaissance Fair, about 60 miles south of Denver in Larkspur. The fair, which has been voted a top family festival, runs June 14 – Aug. 3. 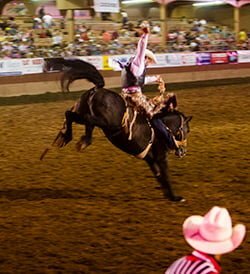 The Greeley Independence Stampede held June 26 – July 6, is one of the world’s largest rodeos and western celebrations. Colorado’s wine country, on the Western Slope near Grand Junction, hosts the Colorado Wine Festival every September and offers tasting and tours year-round. For an exciting glimpse of the past, catch the Pony Express Re-ride held each June in Julesburg in the northeastern tip of the state. NOTE: All photos courtesy of www.colorado.com – a must see website for those of you who look for information on what this fantastic state has to offer.